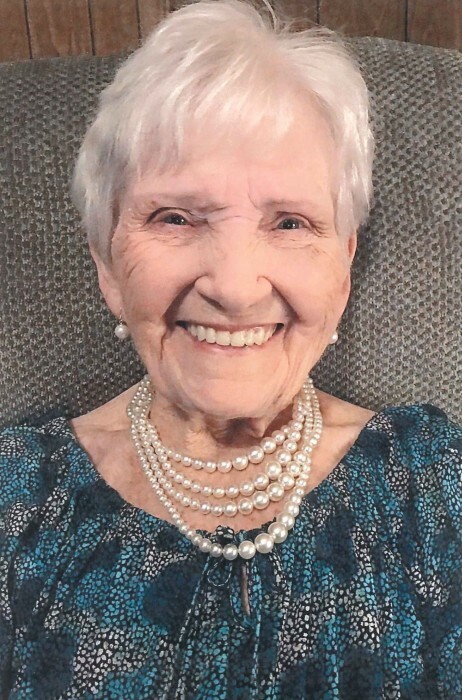 Obituary for Viola Russell | Whitwell Memorial Funeral Home, Inc.
Viola Russell age 95 of Whitwell, passed away Wednesday, February 06, 2019. She was preceded in death by her husband, Omes Russell; mother, Josie Griffith Pickett; father, Henry Pickett; sons, Charles Russell, John Russell, Omes Russell, Jr.; sisters, Carrie Phillips, Leona Dempsey, Millie Ann Barnes, Marie Davidson; brothers, Jimmy Pickett, Jule Pickett; grandson, Jeff Russell. Mrs. Russell was a charter member of Mt. Calvary Baptist Church. Those left to cherish her memories are two children, Thomas (Peggy) Russell, Kevin (Kim) Russell; fourteen grandchildren; nineteen great grandchildren; fifteen great-great grandchildren; daughter-in-law, Mary Russell; several nieces, nephews and a host of friends. Family will receive friends 4-8PM, Friday, February 8, 2019. Funeral services will be 2PM, Saturday, February 9, 2019 in the funeral home chapel with Rev. John Helenthal officiating. Interment at Whitwell Memorial Cemetery.